Create an Ubuntu Live USB Flash Drive from Windows: In the following tutorial, we show you an easy way to put Ubuntu on a USB Flash Drive using Windows. 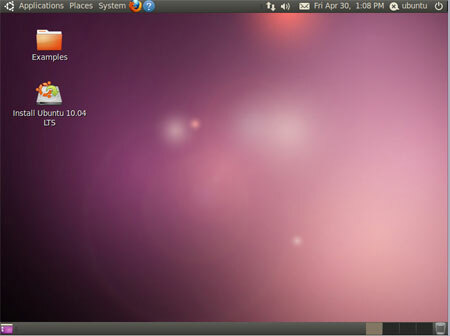 Once finished, you should be able to run Ubuntu directly from your Flash Drive, just as it does from a Live CD. Ubuntu's casper-rw feature is also utilized for persistently saving and restoring your changes on subsequent boots. You should be booting from your own personal Live Ubuntu USB that might also be used to install Ubuntu to a Hard Drive.